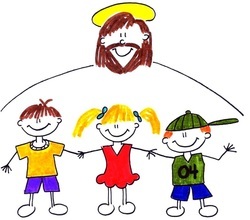 Our parish welcomes all children from age 3 to 6 to Children's Club, before they begin their catechetical lessons. We learn Bible stories, songs, do arts & crafts. The children are offered a snack during the meeting. The Children's Club meets in the Parish Hall (Amurinkuja 21) once a month. We start with the Family Mass where the whole family is welcome. Activities end at about 13.00. For the material expenses there is a voluntary 2 Euros fee. The children can attend the Club without their parents, but if you prefer to stay with your child, feel free to join us.